In spite of my general lack of posting over the past year, I just recently passed the milestone in the food-blogging world of having a blog in pretty much continuous publication for a period of five years. What this means is that I am an old man now not only in my real people age but in blog age as well, which is measured in weeks and months. What this also means is that people have surely moved on. Surely they care less than ever before-- if that were even possible-- about what the hell an aging man and his aging blog have to say about the food in their city. Yet people still contact senile old me to participate in, or promote their events. Surprising? Yes. Frightening? Also yes. 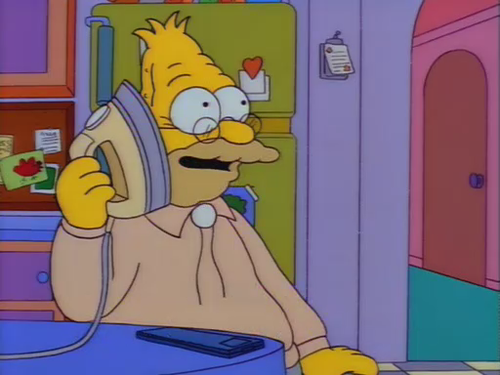 I can't even get my new mobile telephone to make calls anymore, much less string together coherent thoughts on the internet (though that was never a pre-requisite for having a blog). Plus these new phones are so big and heavy. It is rare that I take people up on their offers for publicity in exchange for something free. In part because I don't want to feel obliged to write about it, or worse, meet some sort of deadline. But mostly I'm just a nice guy and don't want to hurt the attendance at a given event or restaurant. Yet here I am writing about an event that I was recently asked to attend: The Chipotle Sustainable Food Film Series at the Denver Botanic Gardens--sponsored by that locally bred burrito monopoly we all love (just admit it-- you like it too). 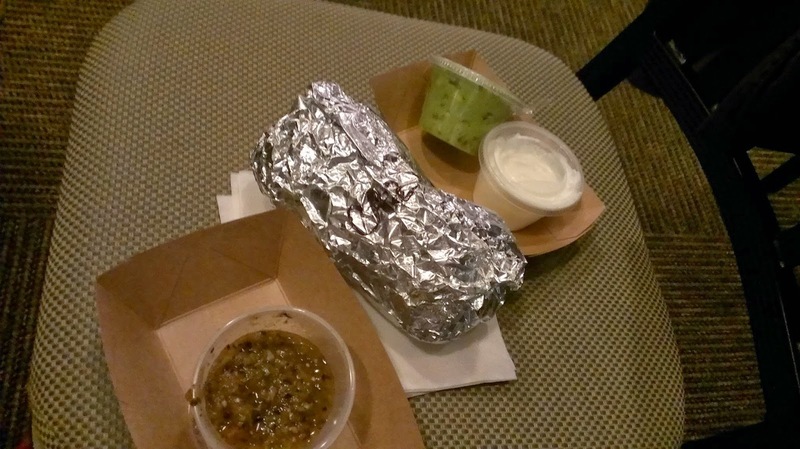 If you have read my past posts on film and food, you would know that I love to sneak in food to the movies, and the foil-wrapped burrito is my number one choice. Furthermore, the Film Series costs five U.S. dollars, which seems like a fair market value of advertising space on my blog these days. Lastly, I am a card-carrying Friends and Family member of the Botanic Gardens. So even if the association with me actually might hurt their image in the long run, I couldn't resist the invitation. The night went pretty much like I expected. I got a burrito and sat down to watch an interesting film. Pretty much like every other movie I watch in the theater but this time I didn't have to sneak my burrito in and I got to eat it with the lights on. The film series is fun weekday distraction and a wild deal for $5 a ticket that includes your burrito with all the fixings. 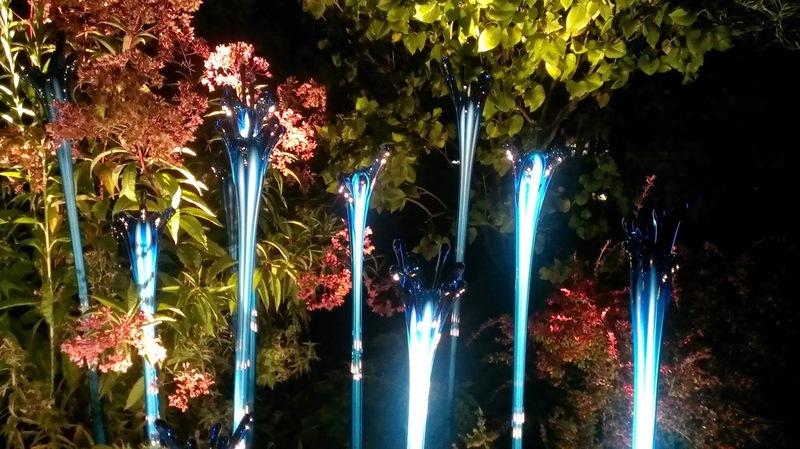 Plus anytime you have an excuse to spend some time at the Botanic Gardens I think you ought to go. It really is a unique urban oasis. And as for the films? There is still one date left in November. Get on over if you haven't. Well, you outlasted me. I think I have gone offline. I made it about five years, but things have ground to a miserable stop -- and I don't even have the chillun excuse. Speaking of Chipotle Sustainable Food, I am sure you have seen the Scarecrow? Its brilliant. Mostly BS but brilliant. I love some Chipotle, but I can get a lot of miles teaching about DoubleSpeak and truth in advertising with these.